Our Liverpool Day Nursery toddlers are set in the main building of the nursery. The room is set out to allow the children to freely explore supporting them in the different areas of learning. The room has tables set out and is used for meal times, this is where the Toddler children are encouraged to independently self serve afternoon snack. We have a range of art and table top activities, and sand and water trays. There is also a story area, a role play area and carpet areas for various floor play activities. 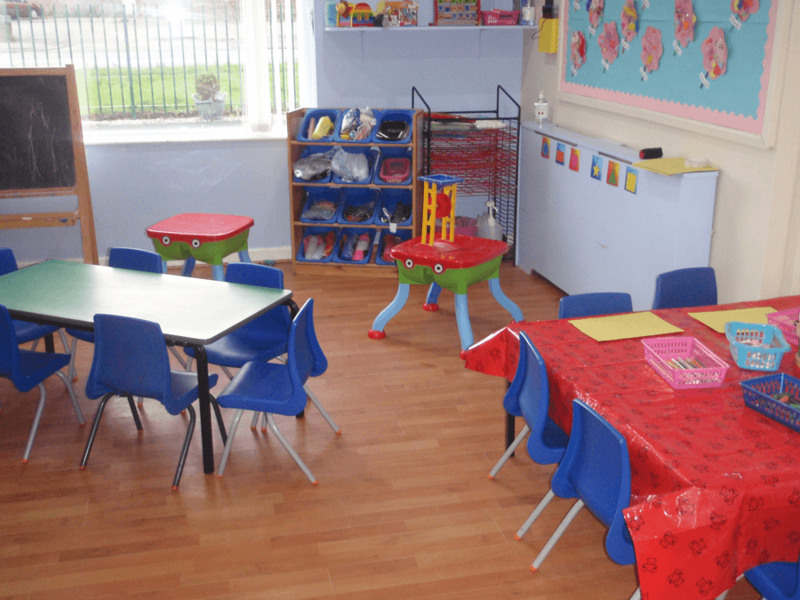 It is in this room that toilet training usually starts so there are children’s toilets at the back of the room which are easy for the children to access as well as a separate nappy room for those children who aren’t yet quite ready for toilet training. Our staff will work with you to make this time as smooth as possible, providing lots of support and tips. Regular routine is important for toddlers and this is provided through, planned activities, such as mealtimes, nap times, story times etc.